France, 1916: Artist Edouard Lefevre leaves his young wife, Sophie, to fight at the front. When their small town falls to the Germans in the midst of World War I, Edouard's portrait of Sophie draws the eye of the new Kommandant. As the officer's dangerous obsession deepens, Sophie will risk everything - her family, her reputation, and her life - to see her husband again. Almost a century later, Sophie's portrait is given to Liv Halston by her young husband shortly before his sudden death. A chance encounter reveals the painting's true worth, and a battle begins for who its legitimate owner is - putting Liv's belief in what is right to the ultimate test. 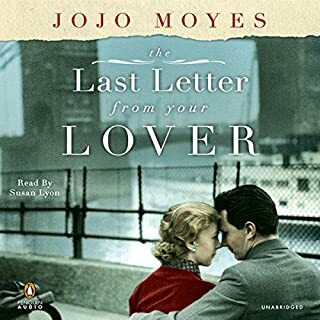 Like Sarah Blake's The Postmistress and Tatiana de Rosnay's Sarah's Key, The Girl You Left Behind is a breathtaking story of love, loss, and sacrifice told with Moyes's signature ability to capture our hearts. Beautifully written novel of Sophie, a French wife and her sister left to cook for Germans in occupied Paris in WWI. The portrait painted by Sophie's husband, Edourd, captures a moment when she discovers she loves and desires him for the first time, creating a captivating piece of artwork. As she struggles to stay brave for her family; keep up hope for Edourd; entertain monsters in her own home and place of business; she shows Herculean strength and fights to maintain her spirit and dignity. Present day Liz, received, "The Girl You Left Behind" as a honeymoon present from her now deceased husband. She calls it her favorite possession and feels a deep connection with Sophie. Both characters are as different as night and day, disparate, yet intriguing in their own way. When I read books told from two different points of view and time periods, I often find myself liking one more than the other. This was not the case, finally. I couldn't wait to hear Sophie's lilting, lovely French accent and was equally waiting to tag along with British Liz during her quest to move on and hold on to Sophie. Moyes created characters with depth you cared about and relationships you felt with intensity. One of the best books I've listened to in months. Excellent read, and don't call it chic lit! 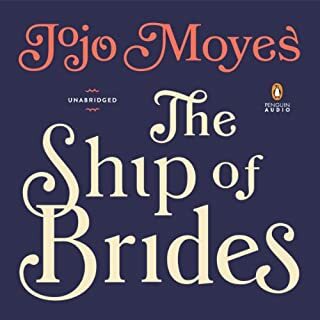 Reading the titles and descriptions of the various Jojo Moyes books, one might assume that she is a prolific "chick lit" factory. After finishing The Girl You Left Behind, my second Moyes novel, my experience has thus far been quite to the contrary. This is a well-written, engaging, thoughtful and rich story. The beginning, set in a French town during the German occupation in WWI, sets the stage for what will become a tale that becomes a legal and ethical dilemma on many levels. "The Girl You Left Behind" is actually a painting of questionable provenance painted during the war one hundred years ago. But it is so much more than just a painting and the woman who was the painting's subject is brought to life and continues to speak many generations later from the canvas where she is enshrined. Excellent and touching story, well written and well read. Highly recommended. A bad accent can ruin the entire experience. I am trying to plow through this novel but the narrator's horrendous fake French accent is highly distracting and making it difficult to get through. I am only 1/3 into the book but the repetitive prose and the horrible narration is really getting in the way of what seems like a decent story. I hope things get better. But not quite. And my issue is tiny enough I can still recommend this book quite highly. Ms. Moyes does a great job of taking a controversial issue and helping you see it from a fresh perspective. The issue isn't quite as intense as assisted suicide, as she tackled in her most recent book. But it is still polarizing - repatriation of illegally obtained valuables and personal items during a time of war. This book takes a fresh look at the issue and the perspective she crafted was quite ingenious. She takes a step backwards from the more common storyline of evil Nazis and the pillage they committed during World War II and sets the events in motion during World War I. The story is told from two perspectives, almost 100 years apart. Two women who are terribly different - one who continues to fight and to hope long after everyone around her has stopped and one who seems to have stopped fighting and hoping a long time ago. Through the artwork they share, the strength and righteousness of Sophie gradually becomes imbued in Liv. The narration was wonderful, especially Sophie's voice. But both narrators performed multiple characters and accents beautifully. Here is my one tiny complaint. I will try and express it without giving the ending away, but the resolution in Liv's story has one too many last minute reprieves to me. I felt like I was brought to the bring of resolution, only to find out it wasn't once too often. I finished the book terribly satisfied. It is the 3rd book I've read by this author. I will definitely read another one and I recommend this one highly. Enjoy fake French accents? This book's for you! 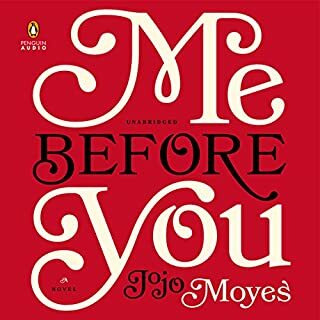 Would you try another book from Jojo Moyes and/or Clare Corbett and Penny Rawlins ? 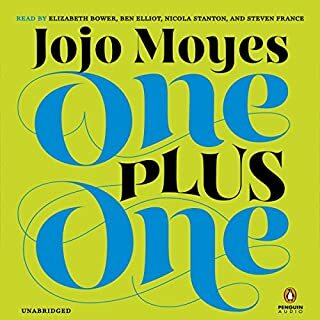 I have enjoyed other audiobooks by this author, but found the choice to go with a bad French accent for the whole book to be extraordinarily annoying. I was listening on a road trip and had to stop after a half hour and buy another audiobook. It's been said before, but it deserves to be said again. The narrator of the French portion of the book is nearly unbearable. She screeches. Every line except "whot?" sounds like Edvard Munch;s paintings look. You want to slap her. That does not make one sympathetic to her story. And now that I've listened to the whole book, I cannot unhear it. Sad. Very sad. Because the contemporary (London) portion of the book is clever and fun, very insider and knowing. And why did the author set this back in the Great War instead of in WWII. What are the chances of anyone surviving to testify in court, or the chances of scraps of paper surviving. I don't think the most widely documented art in history from the 1910s has had so much documentation: letters, articles, stories in Architectural Digest. It's a bit much. But back to the French narration. Where was the producer of this audio book? How did this happen? Isn't someone supposed to be directing this stuff? I'm sure Ms. Corbett did not come up with this reading on her own. This book received high praise in a recent Facebook conversation, so I thought I would take a punt. 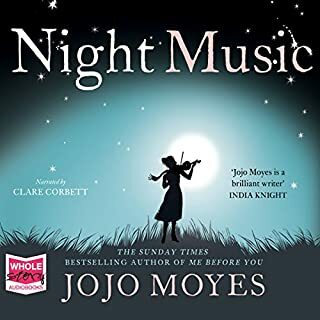 I hunted it down on Audible and had a listen. I’d have to agree with the Facebook reviewers, it is a really good, engaging story and, when life’s routines demanded that I switch it off (e.g. arriving at work) I was usually disappointed because I wanted to keep on listening. It’s all about a painting: The story takes place in two different settings: Occupied France during World War 1 and London in the present day. We also have two heroines (one in each era), two heroes, and a couple of villains. The eponymous painting is of our First World War heroine, Sophie. She is the owner of a hotel (Le Coq Rouge) in an occupied village in rural France. The picture had been painted before the war by her husband, Edouard, who is away fighting the Germans. The most senior German officer in Sophie’s town is Freidrich, a Kommandant who takes his meals at the hotel and takes a liking to Sophie and her painting. Then we suddenly switch to modern London to meet Olivia, whose architect husband David died unexpectedly 4 years earlier. She is still grieving his loss, and her favourite possession is the painting of Sophie, which David had bought from an American woman. I won’t reveal too much more of the plot, but from then on the story follows Olivia’s battle to keep the painting when a legal action is initiated by Sophie’s relatives, who claim that the picture was stolen by the Germans. It is very well written, with good characterisation and dialogue, and plenty of twists and turns. I think it would make a good film (incidentally, if a film was made I think it might be categorised as a ‘chick flick’). The narrators told the story very well in the sense that they played the roles convincingly, but they also made lots of mistakes and this distracted and irritated me a bit, but this is a churlish criticism of a really good listen. I enjoyed this book for its original story. It was enjoyable having the story not give away the history all at once, so you were still curious and captivated at the end. I liked the lesson of faith and belief in oneself, while simultaneously teaching that humans often pick the hard way for spite due to the inability to see beyond oneself. I'd recommend this book to others to enjoy. Note: if anyone at Audible ever reads this, please adjust the volume of the first story. The French-accented reader has her various voices *screaming* into the microphone, while the narrative portions were heavily accented and at a soft whisper. I'd turn the volume up to hear the storyline only to have the volume jump to screech out lines in someone else's perspective. It was painful and distracted from the story. 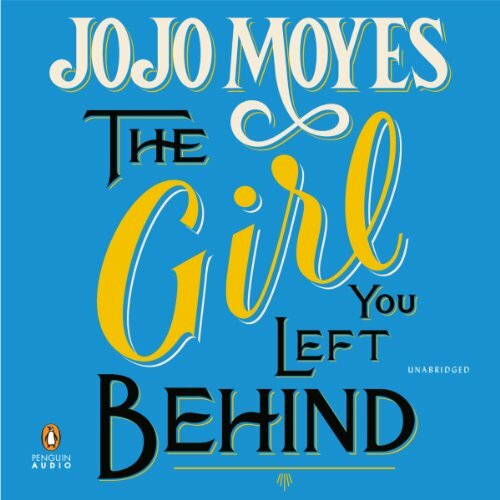 This book really is a "five star"
Wholeheartedly impressed by Jojo Moyes' exceptional "The Girl You Left Behind. Enjoyed narrators as well. The abrupt shift in time and perspective was at first disconcerting, and quite honestly I thought the book ruined, but before long I was engrossed with Olivia's story as I was with Sophie's. I am frequently frustrated by all the "5 star" book reviews I see in Audible reviews. A book that truly deserves "five stars" rarely comes along. I was sorry to see this one end, but enjoyed it thoroughly. Full disclosure, it is a bit of "chick lit". 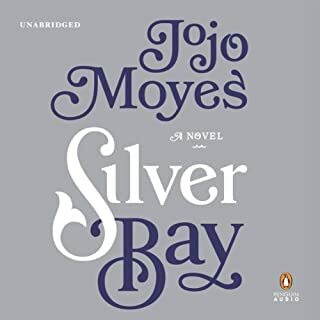 I can't wait to read a third book of Ms. Moye's, she is a brilliant, gifted writer.